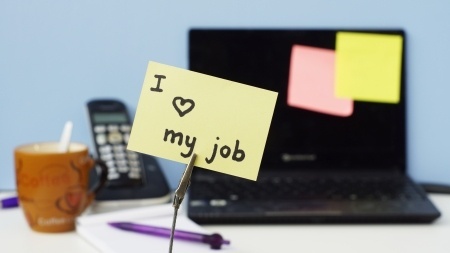 How to turn this often tedious task into something your staff would find enjoyable. There is no doubt that timesheet reporting is essential in any type of business these days. Without proper time tracking, company processes would be inefficient and employee productivity would not be maximized as well. Many organizations have already applied it, but not all have succeeded in implementing it as smoothly as possible, as well as finding the right solution. One main reason for this is that majority of the time reporting systems available today are too complex and burdensome to use, which makes them hard to use and integrate with an employee’s daily tasks. Because of its complicated interface, time reporting is often actually more a burden rather than a benefit to help improve an individual’s work life. The solution to this problem is an enhanced Outlook-based timesheet reporting system that is customizable to cater to the exact business needs of a company. The Microsoft Outlook Calendar is a popular software that is already pre-installed on most modern professional computers. This software is in fact the most widely used personal time management program right now. It is very effective in crafting a personal schedule and is also easy to understand and use. Its manageability is what makes it stand out among the many time calendar programs today. However, a thriving business usually has more needs when it comes to time tracking than what is available with Outlook alone. Generating reports, monitoring time spent on projects, and recording billable time are just some of the many requirements of a company. This is the reason that a supplemental software, such as TimeSheet Reporter, is needed to enhance the Outlook Calendar, to make it more usable without foregoing simplicity and user-friendliness. It goes without saying that in order to make your employees love their timesheet reporting, you have to implement a system that is highly proficient, and at the same time quite simple, too. Only this enhanced Outlook-based time tracking program can give you the best of both worlds. It does not matter how advanced or state-of-the-art your time management software is — if you can’t get your employees to use it, then it is clearly not effective. Reporting time using the Outlook Calendar is a breeze with TimeSheet Reporter, as it takes only a few seconds to produce a comprehensive time entry and time report rather than half a day (or sometimes even a whole day) when using other time tracking systems. This makes it easier for employees to comply with the company’s time monitoring policies, which boosts their confidence and morale as well. Enthusiastic employees are always more productive, so the company will soon feel the benefits of such high morale among its workers. Furthermore, staff will get insight into how they spend their time, how they can optimize and in general be more productive and spend their time on the right things. Regular employees are not the only people in the company that would welcome this Outlook-based timesheet reporting system. Team leaders are also going to be happier as they don’t have to nag their subordinates anymore just to make them submit their reports on time. In short, everybody will win with a Outlook time tracking solution like TimeSheet Reporter, and your employees and the company as a whole will see a lot of benefits of this. They will actually start to love doing their time reporting.